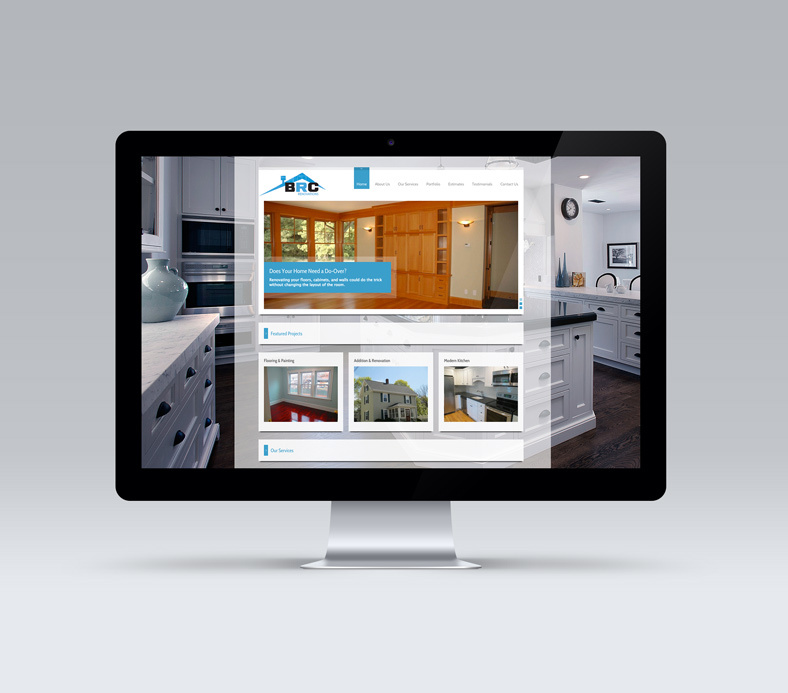 BRC Remodeling, a construction company in Somerville, MA, needed a new website to match their new image. With a blossoming reputation for top of the line construction, BRC Remodeling was ready to take the next step with their advertising. ALX created a professional portfolio website for this remodeling company, featuring an easy to manage image gallery so photos from each new job are a breeze to display online. With drag and drop functionality, adding photos to BRC Boston’s online portfolio is as easy as updating Facebook, but with a much more polished result. The new construction website has earned the approval of BRC’s old and new customers, drawing daily leads from homeowners around the Boston area. Formerly known as Blue Roof Construction, BRC Remodeling wanted to change the company’s image from roofing contractor to general contractor. 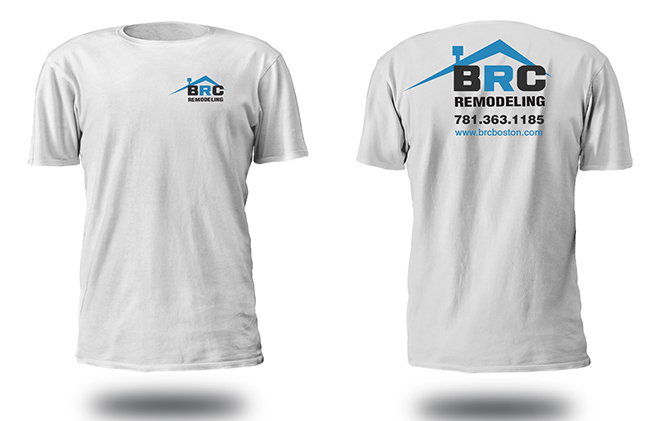 With all new services and more employees, BRC Remodeling felt ready to take on more high-profile jobs, and needed a new logo to reflect this change in the business model. ALX created a new look for the BRC Remodeling logo, without straying too far from their former brand colors, so as not to confuse old customers. 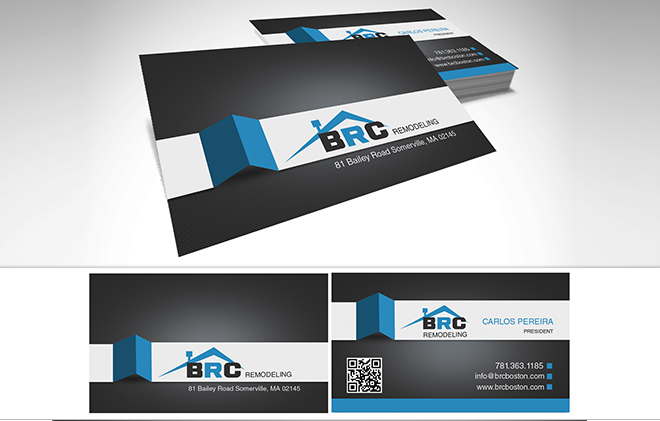 With a new identity and a new logo, BRC Remodeling needed new business cards designed and printed to make new connections. ALX created beautiful glossy custom business cards for BRC, which have been a great asset in the acquisition of upscale clients in Boston and Somerville. UV Spot coating on a business card creates a unique effect where certain areas are highlighted with gloss to reflect the light and leave a lasting impression on customers. BRC Remodeling wanted to run different campaigns during different seasons to let prospective customers know about their specialized services. ALX created an initial EDDM campaign where affluent, urban neighborhoods were selected to receive a promotional postcard offering free house cleaning with purchase of home improvement services over $1000. 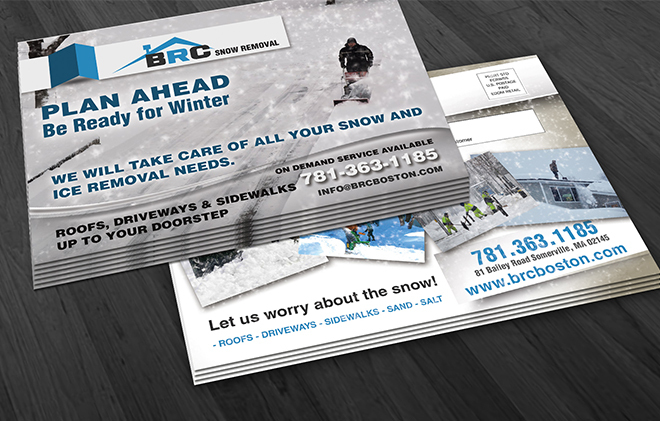 In another campaign, postcards were sent out during the winter reminding homeowners of specific areas that BRC offers snow removal services. BRC Remodeling reported receiving multiple new leads from each campaign, and continues to experience growth as a business from referrals gained by these new customers. The postcards were printed on heavy stock glossy paper for a finished product that looks and feels impressive. 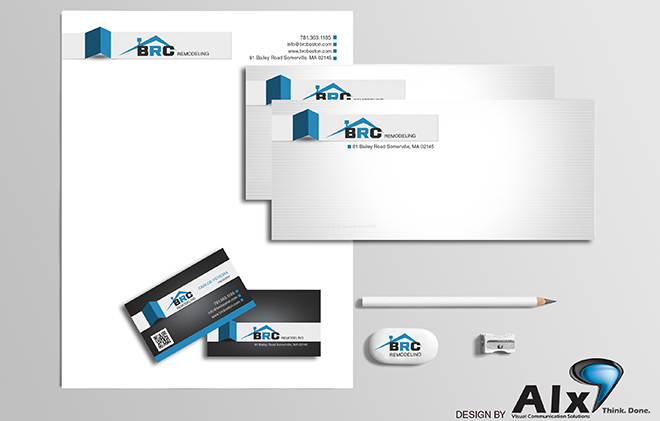 ALX designed and printed custom envelopes and letterheads for BRC Remodeling. Printing the BRC brand on these materials enhances the overall presentation of BRC, and suggest a high level of attention to detail and professionalism within the company. BRC sends out hundreds of post items per week on their new letterheads and envelopes, from important bills to proposals to sell sheets. When every customer receives a consistant, polished postal correspondence from BRC, they feel confident that they are doing business with the best. After hiring more members for the BRC crew, the company recognized the need for seasonal uniforms. 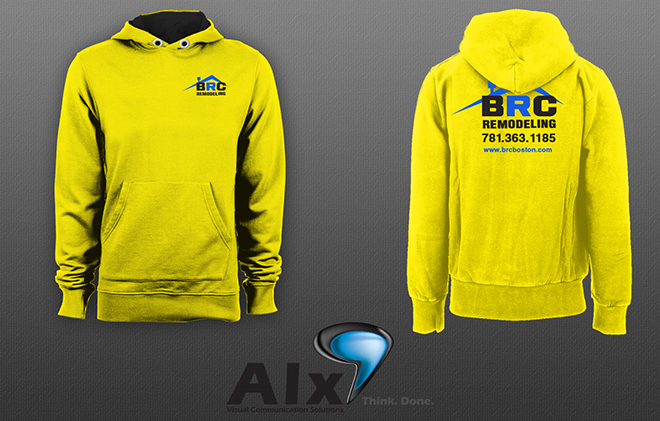 ALX created heavy-duty hoodies and soft, quality cotton T-shirts for BRC with a durable heat-transfered vinyl logo. ALX prints, cuts, and transfers all branded clothing in-house for the fastest turnover, so a new employee will have a uniform within a few days.